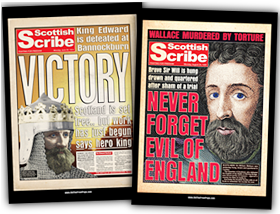 Old the Front Page appeared in the Scottish Daily Express. Old the Front Page was featured in the Edinburgh Evening News. 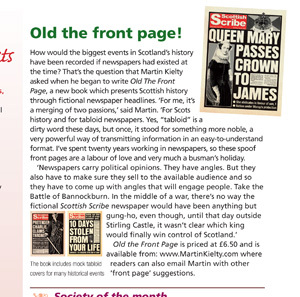 Martin appeared on Fred MacAulay’s BBC Radio Scotland show to talk about Old the Front Page. 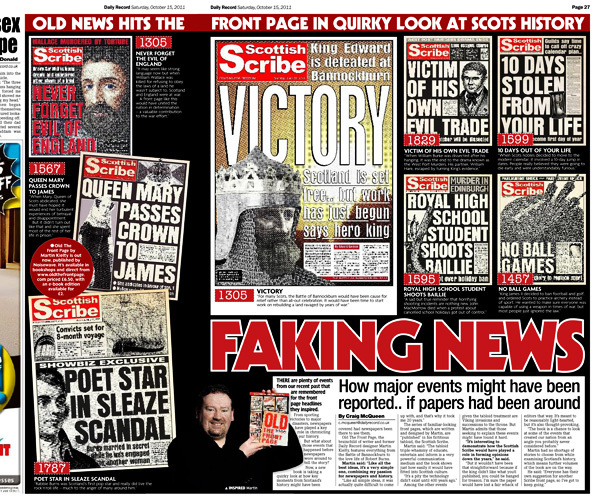 Old the Front Page appeared in the Scottish Daily Record. Old The Front Page will be featured in Scottish Memories magazine.